Our little man is 4 weeks old today - how is that possible?! 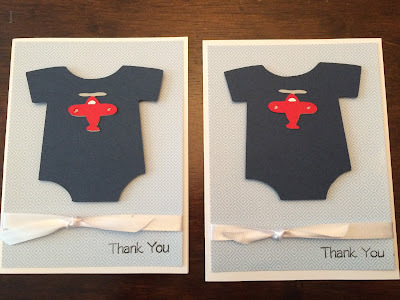 I have been knee deep in getting thank you cards sent and wanted to share my latest card creation - the airplane theme is a nod to Daddy's private pilot license and to baby boy's nursery. My baby thank you is also perfect timing for this week's challenge of "things with wings"! It took forever to put these all together - I made probably 50 in all - it wasn't so bad except for the tiny accents on the plane! 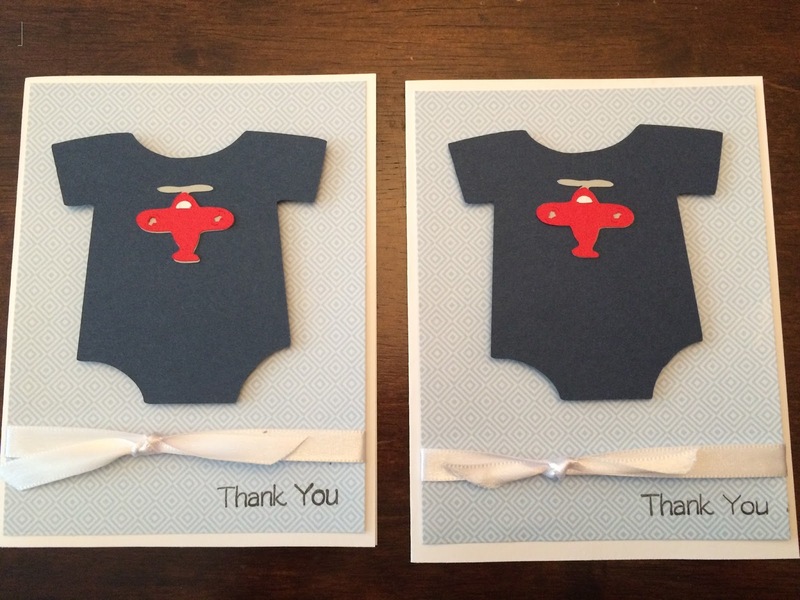 To create, I used the Baby Steps cartridge to cut the onesie and the Cricut Lite Cartridge B is for Boy to get the airplane. The "thank you" stamp is from the My Pink Stamper collection.